← Hospitality House Children’s Activity Building is full of art and love!! 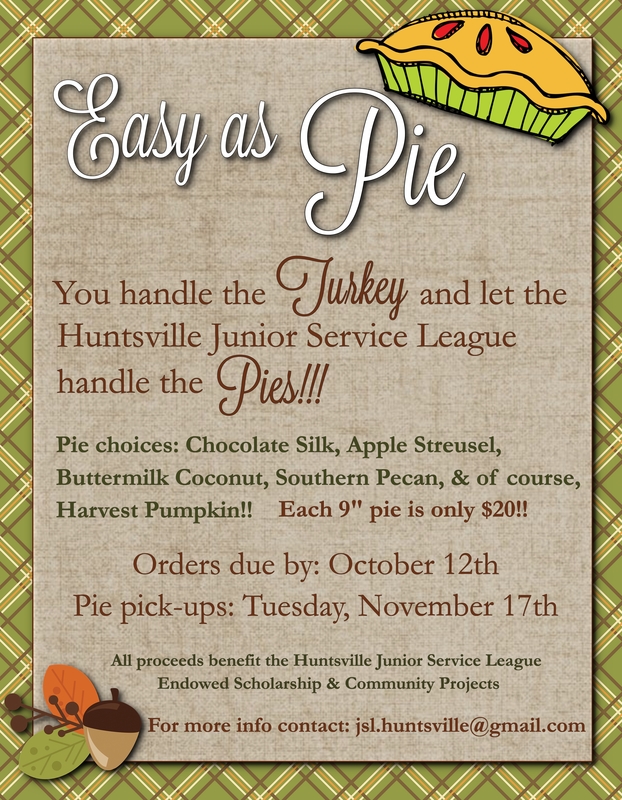 The pies will be here in time for Thanksgiving and Christmas, so you handle the ham and turkey, and let Huntsville JSL handle the PIES! Thank you in advance for helping us to be a positive influence in our community!